It appears that the high risky route taken by mutual funds in funding Yes Bank’s promoter Rana Kapoor against his personal holdings, without it appearing to be pledged, has also been used by other promoters. 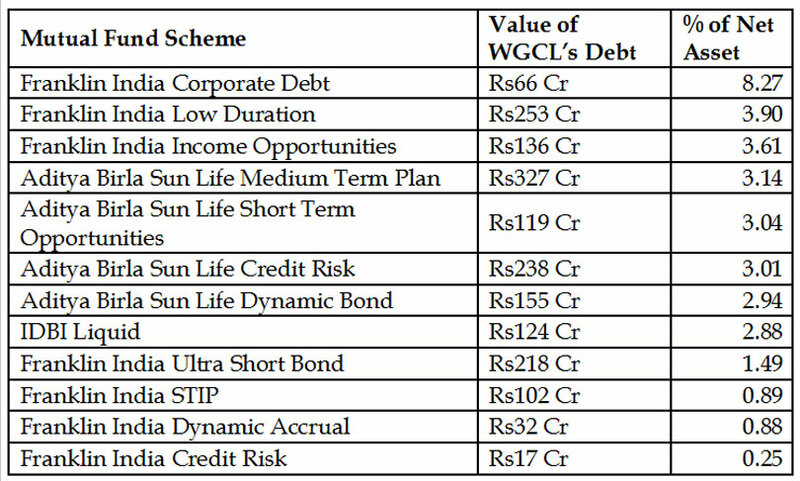 Wadhawan Global Capital (WGCL), the holding company of DHFL (Dewan Housing Finance Limited), has also raised Rs2,125 crore through zero-coupon non-convertible debentures (ZCNCD) maturing in 2019, 2020 and 2021. The takers for the three bond issues? Aditya Birla Sun Life Mutual Fund and Franklin Templeton Mutual Fund. Franklin Templeton had also lent money to Rana Kapoor’s holding company Yes Capital, which has 3.27% of Kapoor’s Yes Bank stake, again through zero-coupon bonds. The two fund houses around Rs1,391 crore worth of WGCL’s ZCNCDs, as per recent end-October 2018 portfolio data of mutual funds. Shockingly, IDBI Mutual Fund has decided to put this highly risky product in its liquid fund, while Franklin India Debt Fund has put 8.27% of its assets in these ZCNCDs. This structure of and start with using for lending against the promoters’ holding is fraught with huge risks. The mutual funds are holding a debt paper of the holding company with no other assets and no capital worth speaking of. They have no recourse to the shares of the promoters either—the only asset of the holding company—because these are not pledged to the mutual funds. The promoters are free to sell them. If they do, fund houses have no recourse. While rating them AAA, CARE has argued that rating assigned to the non-convertible debentures (NCDs) of WGCL are due to the credit enhancement in the form of a pledge of optionally convertible debentures (OCDs) and compulsorily convertible debentures (CCD) issued by DAIPL (DHFL Advisory & Investments Private Limited) and DIL (DHFL Investments Limited) respectively (both being 100% subsidiary of DHFL). Also, an unconditional and irrevocable revolving DSRA (debt service reserve account) guarantee and an unconditional put option has been issued by DHFL in favour of the debentures. Bloomberg’s columnist Andy Mukherjee was the first to have exposed a backdoor method some promoters use for getting loans against their shares, without formally pledging them. This lending process involves a third company that is either a subsidiary or holding company, which holds the promoters shares and raises capital against these through credit enhancement guarantees such as debt covenants. The Bloomberg report states that various schemes of Reliance Mutual Fund bought the entire Rs1,160 crore bond issue raised by Morgan Credits Private, a holding vehicle of the Yes Bank’s promoter while Franklin Templeton Mutual Fund bought bonds worth Rs630 crore from Yes Capital India Pvt Ltd, another of Kapoor’s vehicles that holds 3.27% of Yes Bank’s stake. After Yes Bank’s share price tanked more than 40% recently, it triggered the collateral margin required to maintain in the loan account. The promoter infused cash into the loan-servicing account to maintain the required collateral value, and later, replaced this cash with personal guarantee of more of his own shares. I did go through the covenants of the WGC as structured papers, mentioned in the article, as one of the frequent advisor of these fund schemes. Deal structure is very much in line with this category, nothing unusual. One has to understand the layers of security covers these investment managers insist and secure before buying such customised deals in their portfolios. People who are used to FDs and off the rack NCDs these custom deal structures are complex to understand and hence these kind of apprehensions and sensationalism. 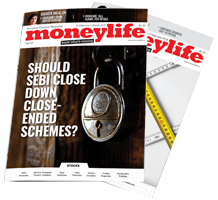 Investors can stay put in those fund schemes as long as schemes suit their risk profile. Its unethical on part of mutual funds to subscribe such issues. Don\'t see any wrong on part of promoters who are raising funds through such transactions. Does this mean that if YES Bank's shares tank more, the O-NCD's issued by Morgan Credit's Pvt Ltd on behalf of Rana, to the Debt mutual funds will go bad and the MF's may have to write off this loss by reducing the NAV? Or is this only a reporting/corporate governance issue? So even the resolution process under NCLT may be through this route by promoters of acquirer of assets. So you are doing iski topi uski sir uski topi iske sir game. So investor is being cheated. This seems to be unethical. But what I am concerned about is the FD s by retired senior citizen s, in Yes Bank. I sincerely hope that these are not at risk. Your deposit money is nothing to do with this transaction, Sir, you don't need to worry. This is a transaction between Promotor family and his lenders. They have borrowed money for his family office. His stake in the bank is limited to less than 10%. It does not have any bearing on deposit holders. From fund scheme investors perspective too, this NCD is well secured. Concerns are misplaced. In a scandalous case of using public money to fund private deals, mutual fund schemes of Reliance Mutual Fund, controlled by Anil Ambani, and Franklin Templeton, have lent money to the front companies of one of the founders of Yes Bank, Rana Kapoor, against his shareholding in Yes Bank, wrote Andy Mukherjee in a piece in Bloomberg https://www.bloomberg.com/opinion/articles/2018-11-25/lessons-from-il-fs-group-bankruptcy-go-unheeded-in-india. It appears that Mr Kapoor has raised as much as Rs1,160 crore against his Yes Bank shares through the holding company structure Morgan Credits P Ltd which owns 3.04% of Yes Bank. It is not clear what Mr Kapoor has done or intends to do with the money. The lending was done by a bunch of hybrid and debt schemes of Reliance Mutual Fund by subscribing to the non-convertible debentures (NCDs) of Morgan Credits in two tranches of Rs950 crore and Rs210 crore. The debentures were rated A- with a stable outlook by CARE Ratings. The Securities and Exchange Board of India (SEBI) will have to investigate whether there was any lending to the Anil Ambani group against this investment, as a quid-pro-quo deal. Market experts say there was, indeed, such a deal; but only the regulator can get at the truth. When contacted Yes Bank for their comments, the bank asserted that "The information is incorrect and totally unfounded." Separately, Franklin India has subscribed to Rs630 crore of zero-coupon NCD of Yes Capital P Ltd which holds 3.27% stake Yes Bank. How has Mr Kapoor used the brand name “Yes” for a personal investment vehicle when he is a minority shareholder of Yes Bank is another, separate issue. While offering a A- rating, CARE said that it primarily factored in the “financial flexibility of Morgan Credits Pvt. Ltd. (MCPL) owing to its investment in shares of Yes Bank Limited (YBL) that have a significantly higher market value as compared to book value…Furthermore, the rating considers that there will be no encumbrance on YBL shares held by MCPL and the total borrowings of MCPL will not exceed Rs1160 crore (excluding accrued interest)." 1. Did the Reserve Bank of India (RBI) know about this transaction when it refused to give Mr Kapoor another term? If yes, then hasn’t RBI been shockingly lenient to Mr Kapoor? Market experts believe that this transaction and the use of the Yes brand for a private company of Mr Kapoor is a fraud on shareholders. Can the supervisory action for this be to merely end Mr Kapoor’s term? In the light of new findings, the RBI should be forced to disclose the basis on which it decided not to extend Mr Kapoor’s term. People have a right to know whether its apparently punitive action was commensurate with the wrongdoing. 2. There has been an exodus of independent directors and others from the Yes Bank board in the recent past. One would presume that they rushed for the exit after discovering Mr Kapoor’s personal deals and gross misuse of his position. Will SEBI and the ministry of corporate affairs question the independent directors and demand answers from them? Otherwise, the entire corporate governance code with its huge red-tape is a meaningless exercise that does nothing to protect investors. 3. It also raises serious questions about credit rating agencies. The Economic Times has reported today that SEBI wants mutual funds to ask searching questions. This again is meaningless band-aid in the light of the Infrastructure Leasing and Financial Services (IL&FS) scandal and the Yes Bank findings. SEBI needs to act now, to cut the cosy dealings between rating agencies and corporate houses. 4. Given the revelations in Bloomberg, can Mr Kapoor be allowed to have any say in choosing his successor? 5. 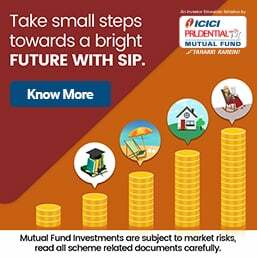 Finally, ordinary people invest in shares and mutual funds based on the assumption that all the data available in the public domain (such as audited accounts, credit ratings) are accurate and that RBI, SEBI, the ministry of corporate affairs and the Department of Financial Supervision are doing their job of protecting investors and depositors. If none of the checks and balances work, it means people are forced to take a blind bet with their hard-earned, tax-paid money. For a majority of the people of India (who are not government employees), this money is expected to see them through their retirement to the end of their lives. 6. What should people do when the regulators fail to do their job or are seen protecting fraudulent actions by failing to put out information in the public domain or initiating stringent action against wrongdoers? History repeats. Unfortunately these things will keep happening as there is no fear of law. Madam not understand your wording used in brackets"WHO ARE NOT GOVERNMENT EMPLOYEES". PLEASE EXPLAIN HIDDEN MEANING. Loot as much one can. The government is in a mood to quietly bail out everyone and maintain the upward momentum till everything falls badly including the government. Good money will be lost for ever. Once again Sucheta has done a terrific job by bringing forth one more expose. Million rupee question is, wiil SEBI care to go beyond the facade and bring out the truth so that the guilty can be brought to book. Thank you Suchetaji for giving this inside information as I have high amount of Fixed Deposits in YES bank for my retirement income.Please keep us posted with new developments at Yes Bank. Thanks for the informative article otherwise we would never know such corporate conspiracies.Would you suggest long term investors to stay with Yes Bank or quit on rise? No upward movement, till the price closes above 295 conclusively on monthly close basis . Look another major scam brewing at Yes Bank with the connivance of Regulators. It gives rise to suspicion that no government machinery has learnt any lesson from crisis ridden IL&FS a d similar scams of the recent past. God save this great nation! Indian MF managers draw fat packages and cause highest expense ratios in the world. Worldwide, GPs incur unlimited liability. But our soft regulators have ensured very high gain and no risk for MF managers. SEBI must act. Excellent article. If the promoter holding is very low (20%), who exactly calls the shots at YES bank? How did they let this lapse happen? Why did R Chandrashekhar and 2 other directors leave the Yes Bank Board? Rentala Chandrashekhar, who was appointed as independent director just seven months ago, is the third director to have resigned from the board of Yes Bank in the past few weeks. While the Bank, in its revised regulatory filing, has not given any reason for the resignation, according to media reports, Mr Chandrashekhar was concerned and dismayed at the manner in which recent developments, especially on corporate governance, were dealt with by the lender. Earlier Rana Kapoor, managing director (MD) and chief executive (CEO) of Yes Bank was denied an extension by the Reserve Bank of India. The central bank had asked the lender to find a replacement to Mr Kapoor by 31 January 2019. According to reports, the RBI has found corporate governance issues and under-reporting of non-performing assets, which has led to a series of negative developments in the private sector lender's functioning in the recent past. Vasant Gujarathi, another independent director, has also resigned from Yes Bank board. Later OP Bhatt, former chairman of State Bank of India (SBI) and a member of Yes Bank's committee to find a successor to Mr Kapoor, also resigned. The spate of resignations without a clear reasons for their exit, once again raises questions about the futility of the elaborate good governance rules and their many check-box declarations and evaluations. When a situation as grave as the one at Yes Bank why is it met by complete silence from the market regulator, Securities & Exchange Board of India (SEBI) and the Ministry of Corporate Affairs. The rationale for high sitting fees and commissions offered to independent directors is linked to the expectation that they will ensure a strict oversight on management. The new rules also require independent director to give proper reasons for resigning from the board. But this is not happening. The reasons cited are paucity of time or health reasons. A report from LiveMint says, "Chandrasekhar, who joined the bank as an independent director in April, 2018, while tendering his resignation letter on Monday, indicated that he was not expecting such instability due to the series of resignations from the bank recently." Mr Chandrashekhar, the former chairman of Nasscom, was also telecom secretary. He had also quit from the information technology strategic committee of Yes Bank. YES Bank's nomination and remuneration committee is reviewing the performance of the board members. The Committee is also looking for a replacement from IT and cyber security for Mr Chandrashekhar. The bank currently has seven board members – Mr Kapoor, Lt General Mukesh Sabharwal, Brahm Dutt (former secretary), Subhash Kalia (former executive director of Union Bank and Vijaya Bank), Ajai Kumar (ex-CMD of Corporation Bank), Dr Pratima Sheorey (director of SCMHRD, Pune) and Uttam Prakash Agarwal (former president of ICAI).